This week, we have been studying about prayer and today we are looking at how to pray because it is a necessity, and if it must be done, then it must be done well. Whiles the disciples were with Jesus, the only thing they could ask of Him was to teach them how to pray because they realized that Christ was not going to be with them all the time so they must be prepared to face the world in His absence, Jesus Christ equipped them with this format knowing that prayer is the only key that unlocks the gates of earth for heavenly interference. Matthew 6 is our constitution as believers and this is how Christ expects us to pray from verse 9 to 13. This teaches us that whenever we pray we should start by thanking God for what He has done and giving reverence to Him for who He is. We must worship Him and make Him know that He means more than the world to us. And because the rulership of this earth was given to man, we must give permission for heaven to appear here on earth, so we ask God to rule in our affairs as He does in heaven. We ask Him to take total dominion of everything concerning us. Now we continue by asking for forgiveness knowing that we are holding nothing against another because His words makes it clear that, He only forgives us if we forgive others, so then there is a need to be cleansed of any impurity so we can get close to our Holy father. Now we present our needs for the day into His hands because He has already told us not to worry about tomorrow for it shall take care of itself. So we take it a step at a time. Whatever we desire in the day we pray about it, not only the physical food but also the food that gives life(the word of God). We need a particular food(word) to carry us through the day and we must ask that it be revealed unto us. Then we continue by building fortified falls around ourselves, family, friends and church. That God should order our steps so we do not step on traps set for us. And whatever that we are bound to be broken off in Jesus name because we know that all power and authority belongs to Him and whenever he opens or shut a door no one dares to contradict His actions. Finally thank Him for making His ears attent to your prayer and for answering. 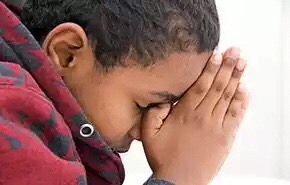 Please note that your prayers must always be prayed in the name of Jesus Christ because He is the only way that Leads to the heart of the Father. 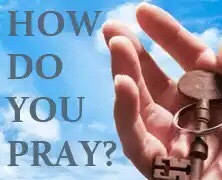 Allow the Holy Spirit to lead you as you pray according to the will of God using this format given in Matthew 6:9-13. Father in the name of Jesus thank you for this day and all in it, I am grateful for making your grace available unto me. I ask that you will forgive me of errors committed against you (the conscious and unconscious) and cleanse me that I may be clean. Thank you for your Holy Spirit who helps me to pray in the right direction. Take total charge of me this day and make my paths straight. 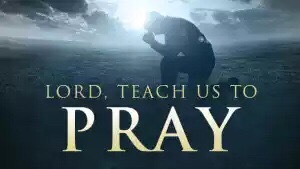 Thank you Father for making your ears attent unto my prayer and for answering them in Jesus’ name, amen. Great Break-down of Jesus’ model for prayer!